If you were hoping for a cooler look for Google’s car, you’ll have to settle for cute. While Google gave few details about the changes it’s made to the initial prototype over the past seven months, the completed vehicle appears to have working headlights and a somewhat more streamlined LIDAR (light detection and ranging) sensor on its roof. Overall, though, it still looks like a toy. Researchers at GoogleX, the company’s moonshot lab, have been tinkering with the vehicle since the two-seater without a steering wheel was first shown off in May. Google had announced plans to build 100 prototypes and begin a small pilot program in California over the next few years. “We’ve been working on different prototypes-of-prototypes, each designed to test different systems of a self-driving car—for example, the typical ‘car’ parts like steering and braking, as well as the ‘self-driving’ parts like the computer and sensors,” Google wrote in a blog post on Monday. 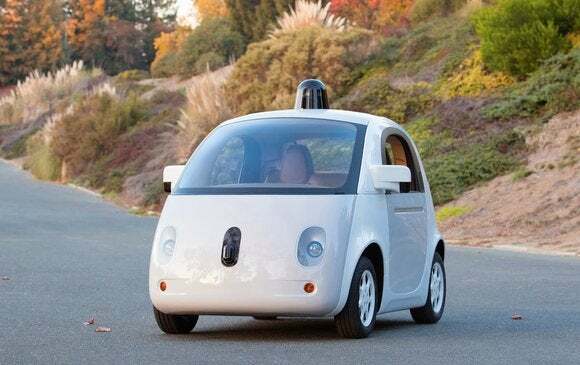 Google said its engineers will continue to try out the vehicle on a test track and will take it on the streets of Northern California in 2015. Calling autonomous vehicles “the future of transportation,” California’s Department of Motor Vehicles established its first set of rules for self-driving cars in September. They call for tests on public roads as well as test drivers who can immediately take control of the vehicle.